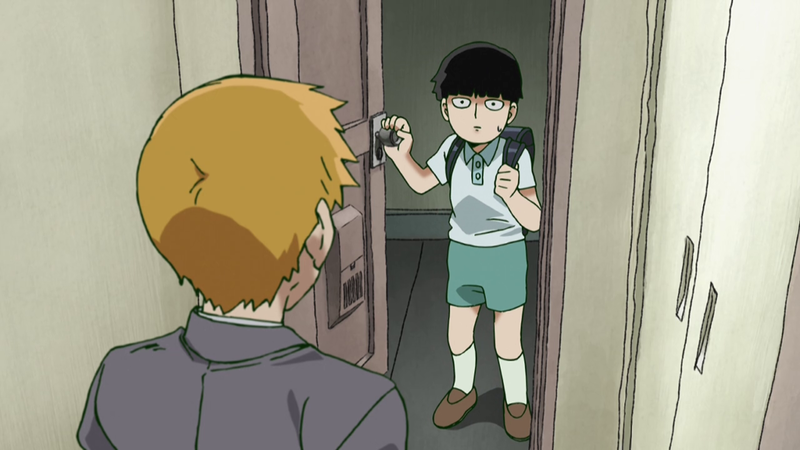 Last week I focused on promising young animators working on Mob Psycho. A certain someone must have considered it a challenge, because he appeared to show off there is more new talent in the industry. The show is quickly approaching its end and so is the production – sad for us as viewers, but an understandable relief for the staff. Yuzuru Tachikawa tweeted yesterday that the animation process was finished, sneakingly taking a photo of Yoshimichi Kameda which now seems to have become a running joke within the studio. But fun anecdotes aside, that leaves them one week to finish the rest of the work. And while that sounds a bit crazy, you have to keep in mind that it still leaves them in a more comfortable place than many TV anime rushing to finish their final episode. Either way, it’s going to be a short week for the staff, but a long one for the fans dying to watch the finale! 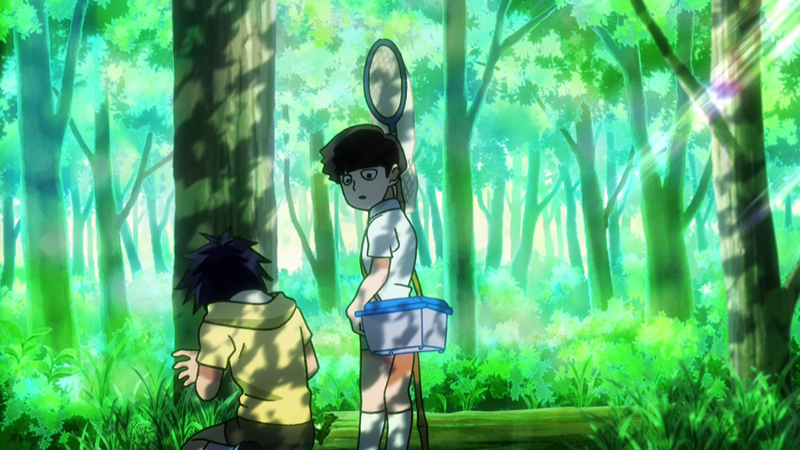 Let’s move onto the penultimate episode for now, though. This week marked the return of Takefumi Anzai, the person who directed episode 2 and storyboarded/directed episode 6. 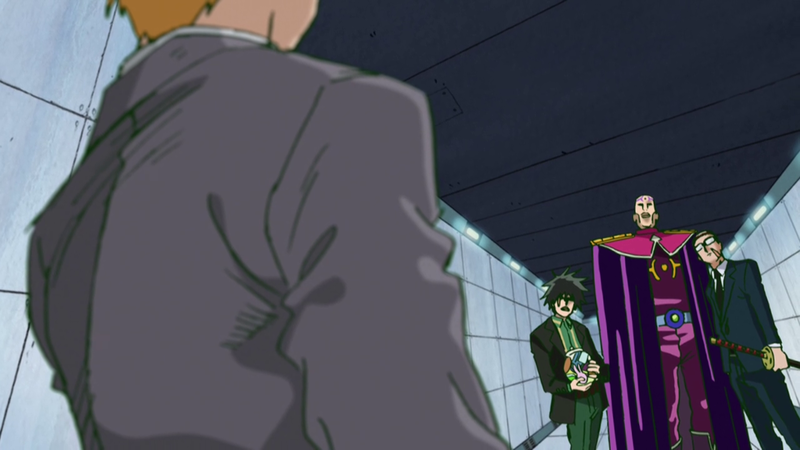 As I said in my episode 2 writeup, Anzai seems to be very trustworthy as director Masahiro Ando often puts him in charge of the important episodes of his own shows – and this seems to be the case with Yuzuru Tachikawa as well. 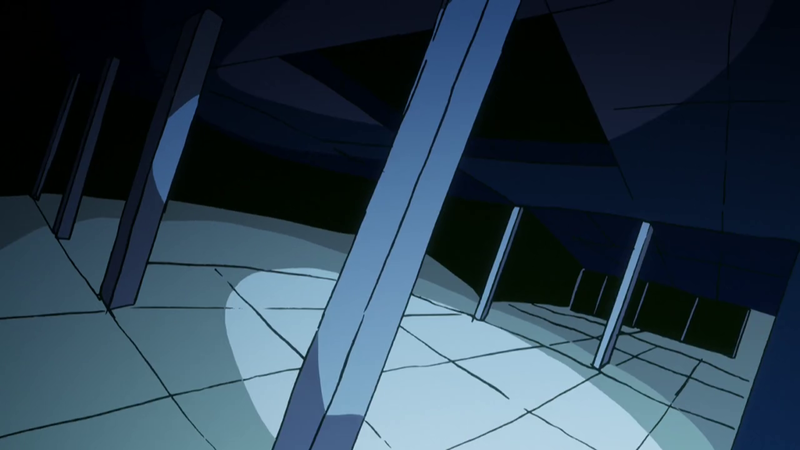 Episode 11 featured a fair share of visually stimulating and cleverly storyboarded scenes. 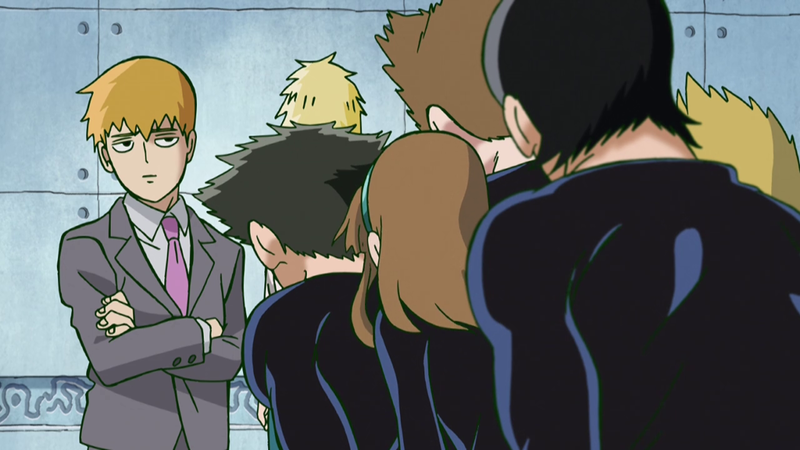 The highlight on all levels was clearly Reigen, who stole the episode; he was constantly portrayed as a charismatic individual and overly confident pacifist … but then he miscalculated, and as shown in Miyo Sato’s paint-on-glass sequence, lost his confidence. 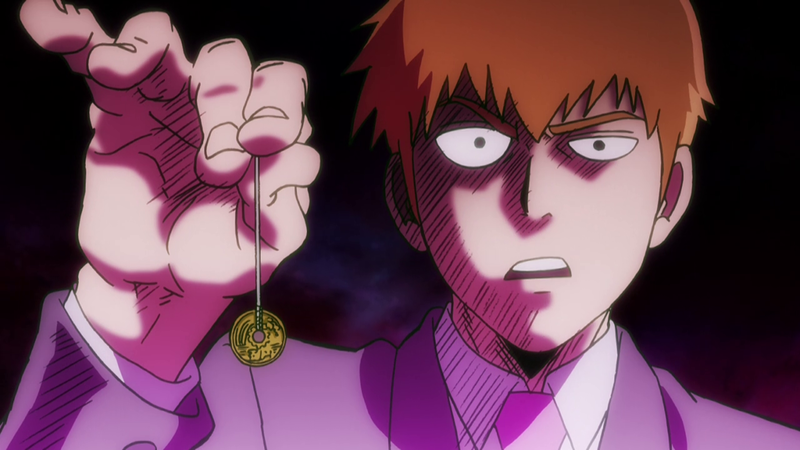 He changed his goal to running away to protect his outrageously strong yet awkward disciple, which led to a sweet flashback near the end of the episode showing how the two first met – a twisted but effective way to enhance the impact of the brutal cliffhanger. Below is a sequence colored by Sato, reusing Hironori Tanaka’s uncredited work from episode 1. 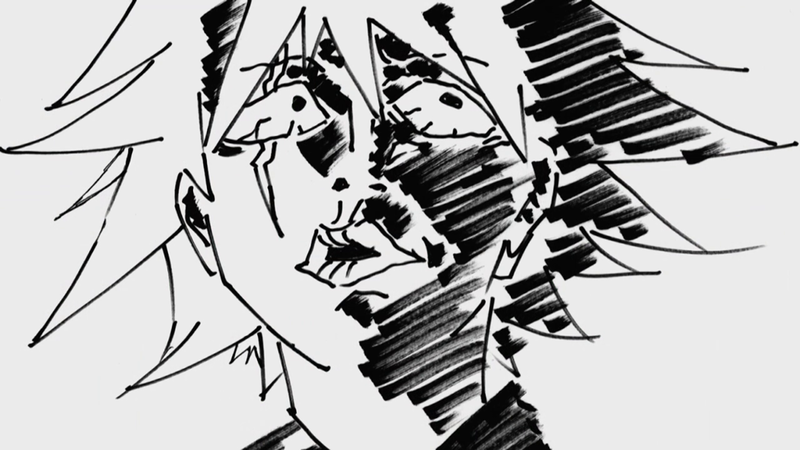 But the real storyboarding highlight overlapped with the moment the animation peaked as well. The lengthy action setpiece in the last couple of minutes was animated by Hakuyu Go (24 y/o) and Naoki Miyajima, who only started doing key animation last year. Yoshimichi Kameda supervised it, providing help here despite almost certainly being busy with the final episode at that time. 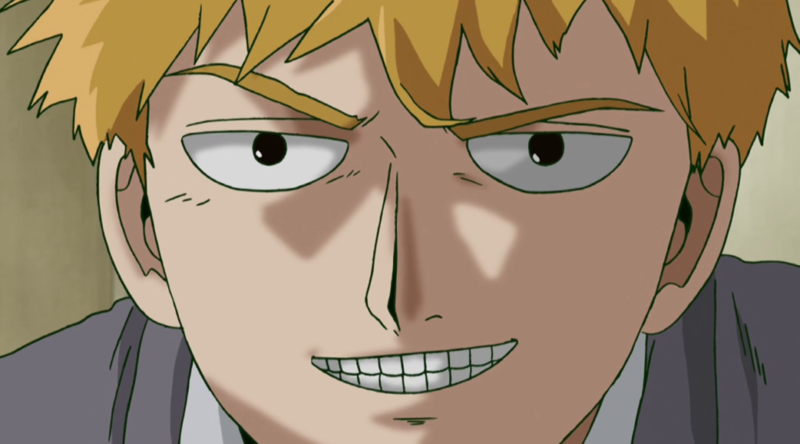 Hakuyu Go only joined in the industry in 2014, but he is already a name to watch out for; earlier this year, he got the opportunity to storyboard and direct the blood pumping fight between All Might and Noumu in My Hero Academia, which quickly became a fan favourite and definitely stands among the most impressive moments in TV anime this year. 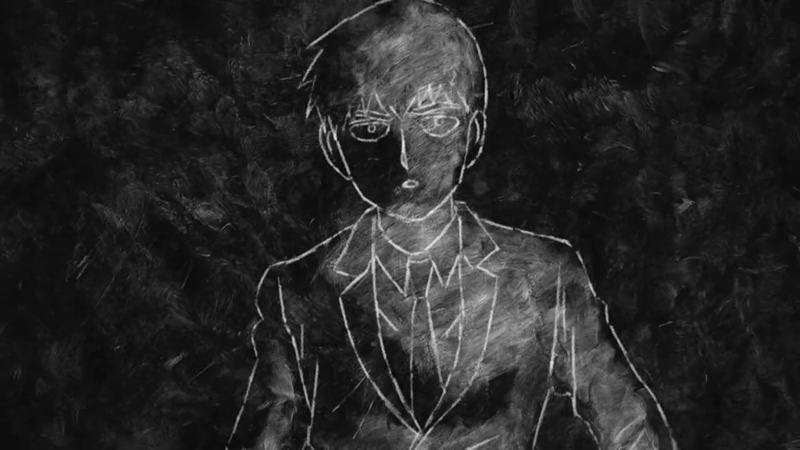 His work this time around was a clear Yutaka Nakamura homage – background animation surrounded by darkness, cube shaped debris, experimental approaches and… well, the drawings themselves. 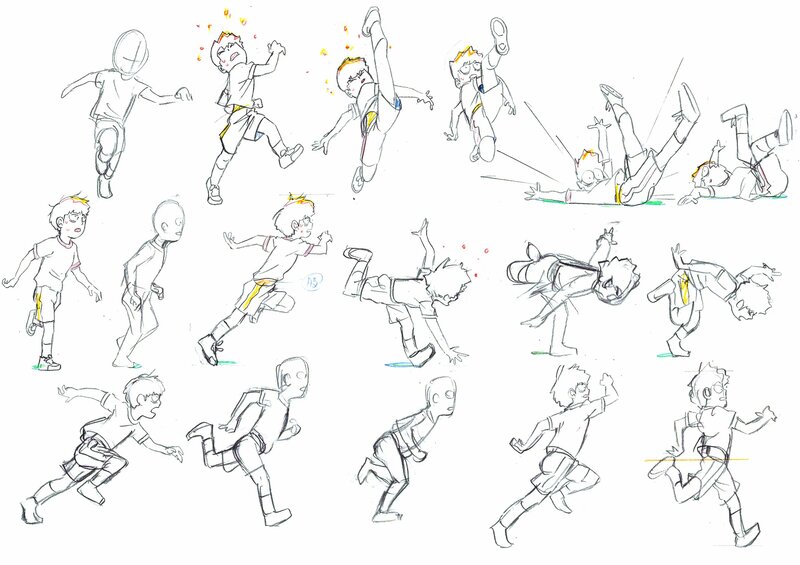 It’s really impressive how a 24 years old industry newbie almost nailed the style of an action animation legend. Naoki Miyajima then presumably animated most of the sword fight between Teru and Sakurai; while not as flashy, the thoroughness of the body motion during such a hectic scene makes it stand out as well. 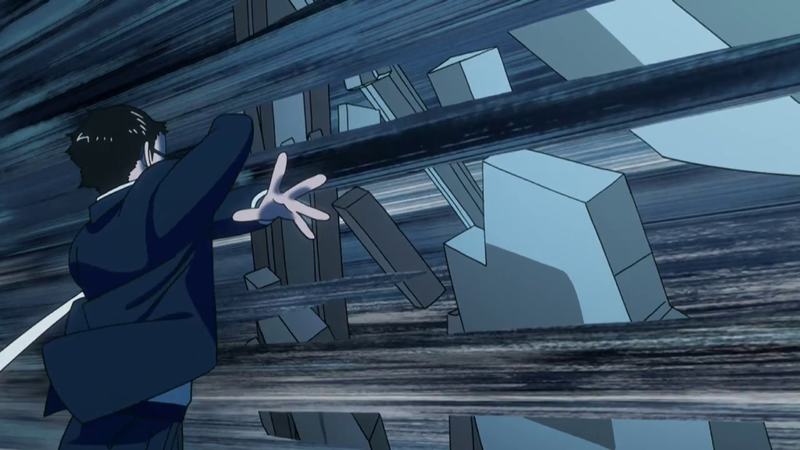 Some other scenes worth mentioning are the Shinya Ohira-inspired cut presumedly animated by his ex-student Takuji Miyamoto, Sakurai’s attack on Reigen seemingly by Yuuto Kaneko, Keiichiro Watanabe’s black hole, and this neat character acting moment in the flashback, perhaps by Ayako Hata by Kanako Yoshida – who even reused one of Kameda’s cuts from the first PV. 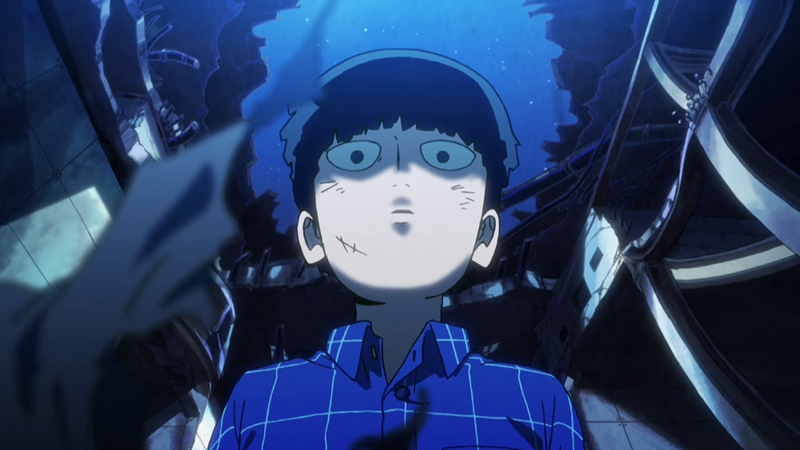 One of the animation directors, Kohei Ashiya, has been a regular on JoJo’s Bizarre Adventure and that has inspired him to draw Mob Psycho illustrations in JoJo style on twitter. They are definitely worth checking out! So, ehm, good luck surviving the wait for the final episode! See you next week. 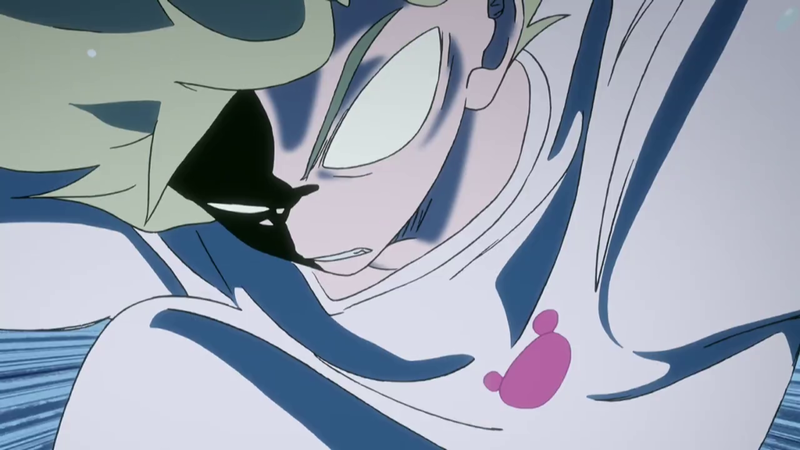 Everytime I see Hakuyu Go improving like crazy I am all the more mad that his scene in the last Blood Blockade Battlefront episode (https://sakuga.yshi.org/post/show/22237/animated-background_animation-debris-effects-fight) had a very generic light auras fight. I mean, the effect can be cool, but in that case it was “eh” compared to what he can actually do. That, and Miyo Sato is a blessing. 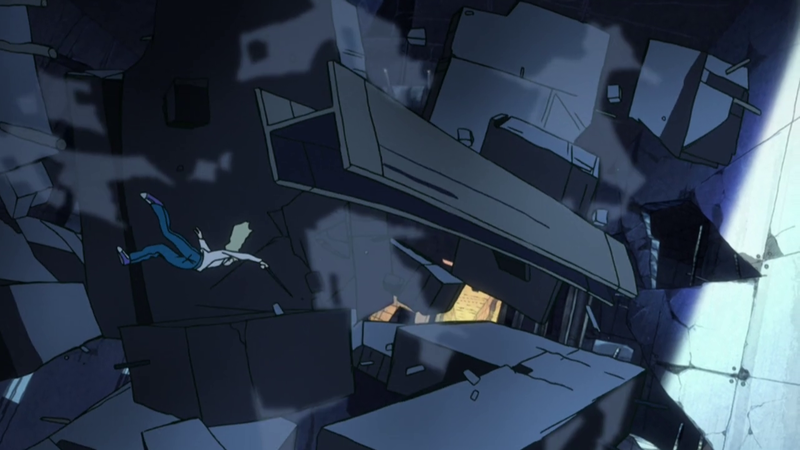 We have a friend who is still to this day furious at the unshaded debris in that scene! Definitely not his finest work.